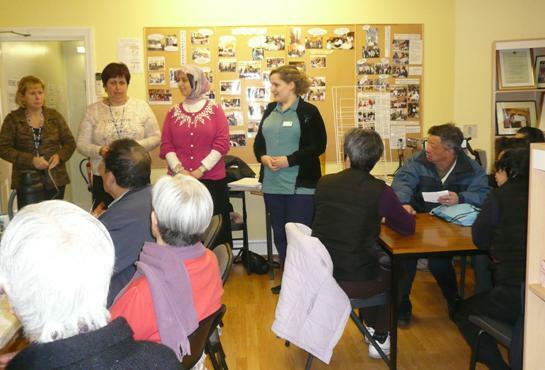 Visitors: 9th March 2009, Carole Cohen (left 2nd) and her colleagues from Reducing Inequality Team of Manchester NHS PCT visited CHIC and explained the “Check it Out” programme to members of the local Chinese community. 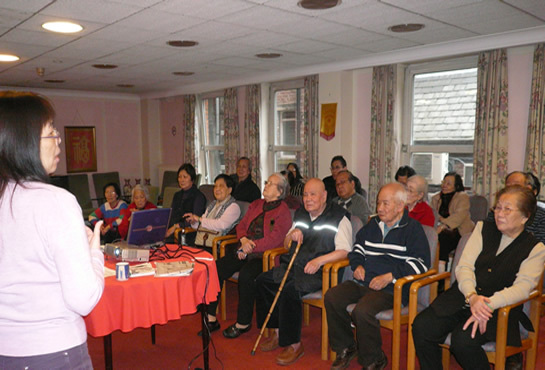 24th February 2009,“B/P & Stroke” health talk to a group of people aged 65+ at Faulkner Court of Tung Sing Housing Association. 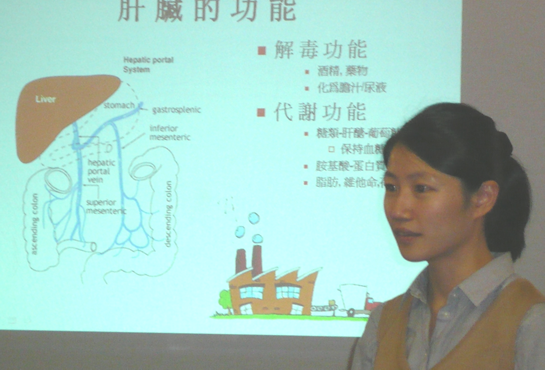 Speaker:Shirley He (Nurse Operations Manager). 22 people attended. 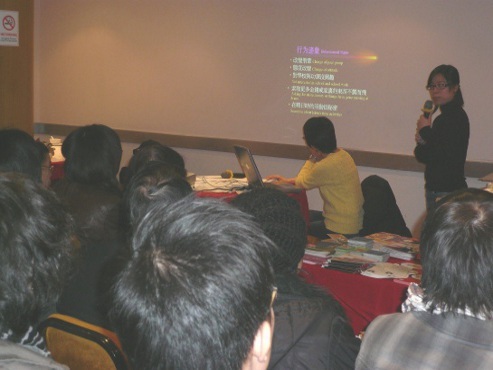 16th February 2009, “Hepatitis Prevention” health talk was given in Mandarin by Dr. Lina Gan at the Yang Sing Restaurant. 21 people attended. Tammy Chan, Drug project team worker delivered drugs history, why people use drugs to audience in Cantoneseon 15th February 2009 at the KwokMan Restaurant. 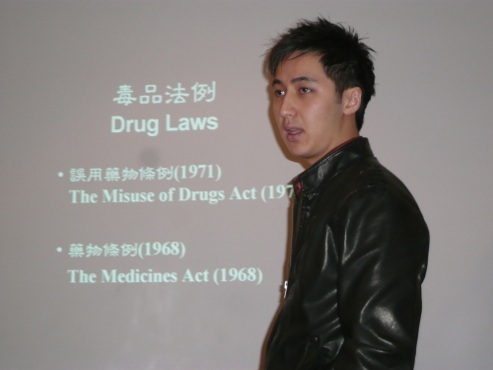 Martin Sham, Drug project team worker explaining the harms and effects of drugs in Cantonese on 15th February 2009 at the KwokMan Restaurant. 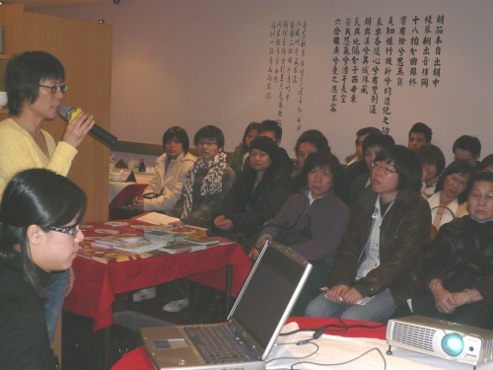 Eva Tsang, Drug project team worker delivered drugs history, why people use drugs to audience in Cantonese on 15th February 2009 at the KwokMan Restaurant.